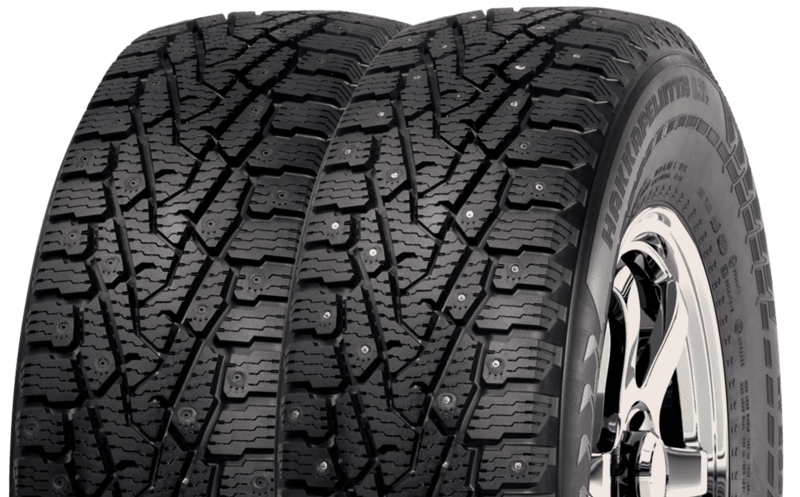 The Nokian Hakkapeliitta LT2 snow tyre is especially designed for heavy 4×4 vehicles that drive on icy roads and snow covered worksites alike. The construction of the tyre has been optimised for the high wheel loads of 4WD and utility vehicles with high axle loadings. Nokian Hakkapeliitta LT2 snow tyres are also available with studs for extreme on-mountain use and is especially suited for extremely icy conditions. 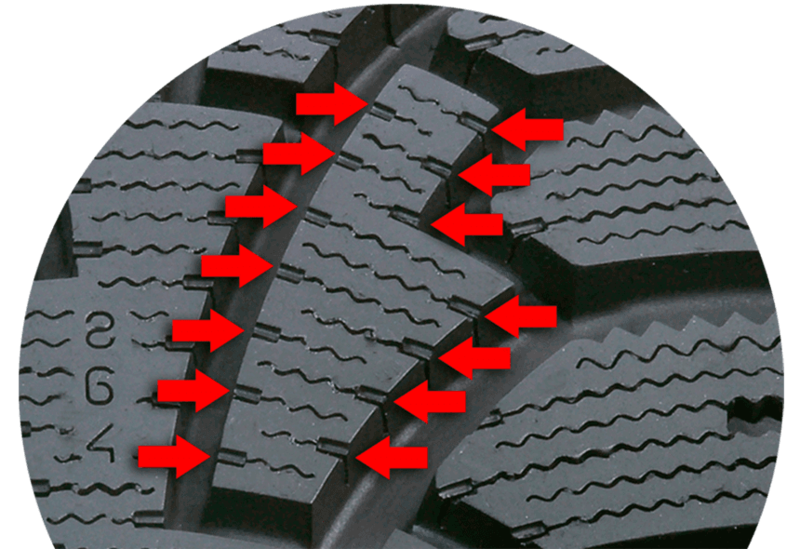 The sipe activators on the edge of the tyre tread boost the operation of the sipes in extremely slippery weather. Sipe activators ensure driving safety under rapidly changing weather conditions, in which the wider sipe activates the narrower sipe. This functionality adds grip for situations where the feel for the road is nearly non-existent. Studded LT2 tyres have the combination of the anchor stud and air damping which provides driving comfort and safety on ice, snow, and wet road surfaces. Air Claw Technology refers to a combination of a sturdy steel stud and drop-shaped air dampers on the front edges of the tread blocks. The combination provides the tyre with effective grip properties and good stud durability, while reducing the tyre’s noise level and rolling resistance. 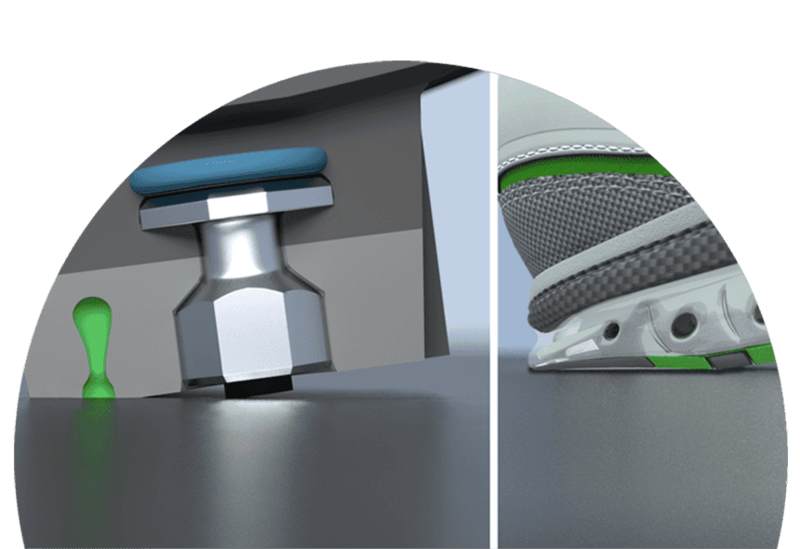 The air damper technology is much like the air cushions on the heels of good running shoes; the air vents in the tyre soften and dampen the stud impact on the road, while reducing its vibration on road contact. The innovative Eco Stud System, a special type of stud cushion, also contributes to the flexible and safe driving comfort. It boosts the operation of the stud while damping its impact on the road. The Mount Hotham Road Patrol is a 24/7 service that’s patrolled the Great Alpine Road during winter months for 15 years, travelling in excess of 250,000km. In the winter of 2015 they put our Nokian Hakkapeliitta LT2 tyres to the test. After trialling the Nokian Hakkapeliitta LT2 tyres in the icy conditions at Mt Hotham I have been greatly impressed on the handling and the gripping capabilities of these particular tyres in situations where traction would normally be lost using a standard All Terrain tyre. The tyres allow the vehicle to be driven in a more responsive fashion than previously experienced and the control of the vehicle was greatly enhanced. Cornering, braking and accelerating were all achieved with minimal to no slippage at all. No matter how low the temperature the Nokian tyres remained soft and pliable, allowing the sipe activators to provide maximum traction in the snow and icy conditions. The smallest amount of snow on an icy section of road surface would help provide traction enabling the vehicle to remain under the driver’s control. The tyres perform equally as well on dry and wet road surfaces allowing the transition between all to take place without any loss of control. This was particularly noticeable when the road was not covered with ice suitable enough to warrant the fitting of wheel chains but icy enough to be problematic for the driver.